On the first day of Fall Break 2011 I made a leisurely journey eastward on US 60 and I-44 to Springfield, Missouri. I stopped at Nonna’s near downtown for an Italian lunch and then headed over to the big Bass Pro store to buy a new pair of hiking boots and backpack. I’d worn out my first pair of Columbia boots some time ago and the second pair were cheaper RedHeads which aren’t worn out yet but have thinner soles and a clumsier feel. 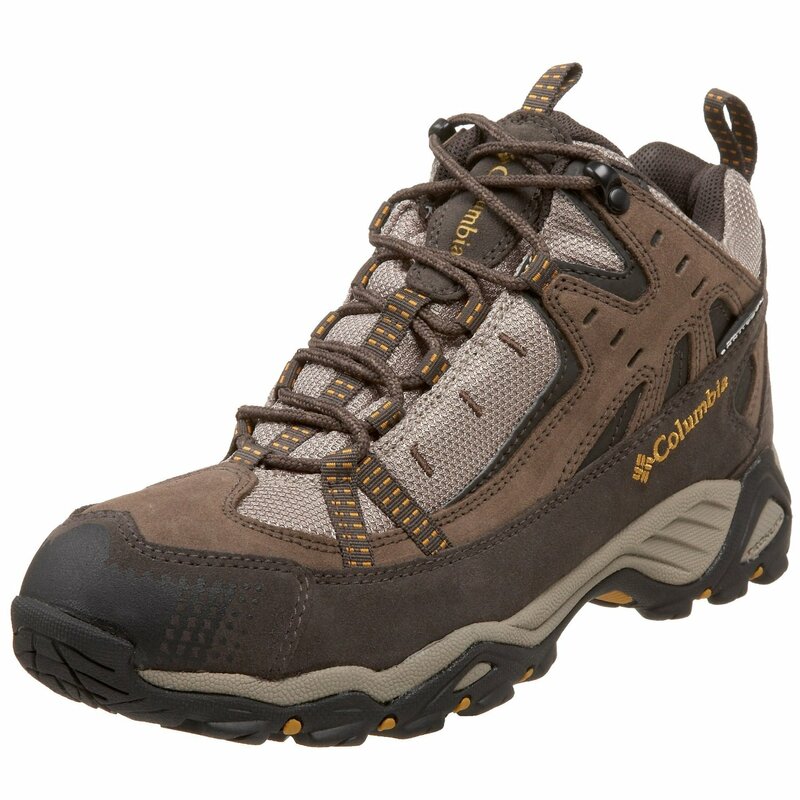 So I bought a new pair of Columbia middle-height Firelane OmniTech boots that provide a better trail feel. I’d also worn out several cheap backpacks and had been using a Coleman hydration pack. I didn’t care for the plastic taste of the mouthpiece and how the first swigs of water in the tube were always warm until you reached the cooler water back in the reservoir, plus the hydration pack simply did not have room to hold a sandwich container inside. 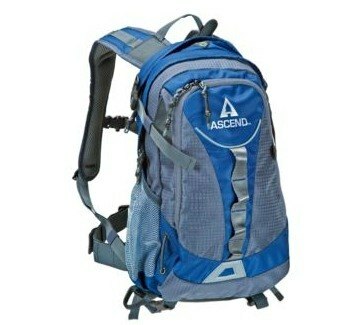 I didn’t want a full backpack for my day hikes, so I selected an Ascend H1250 hydration pack with more compartment room and immediately took out the hydration pack itself – I’ll carry an orange drink and water bottles in there instead. 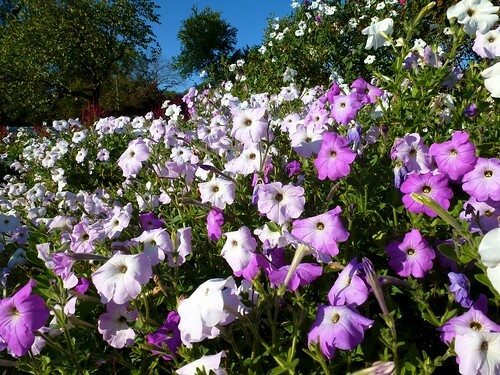 With those decisions made, I bought a Halloween outfit for school at a nearby temporary costume shop and drove over to the rose garden at Springfield’s Phelps Grove to shoot the various flowers. Then I drove on eastward on US 60 over to the Comfort Inn at Willow Springs. I had a late dinner at the McDonald’s since most of the restaurants in the tiny burg had closed. This was the most highly rated hotel in the region for my planned hikes near the Current and Jacks Fork Rivers. I planned to take things very easy this break with shorter hikes. The next morning I found a layer of frost coating the car with temperatures in the low 30s. I had a late breakfast at the nearby Hillbilly Junction gift store and restaurant and then drove over to Rocky Falls where Rocky Creek tumbles over erosion-resistant volcanic rock. I shot a video of the falls, and then decided to skip the hike from there up to Stegall Mountain. I instead headed over to the Powder Mill campground to hike along the Current River. I chose a very scenic drive up Highway 19 to Eminence as my route. There are two trails here, one being a spur leading over to the Current River section of the Ozark Trail, and the other leading to Blue Spring. I parked by the Ozark Trail spur which led to the bridge over the Current on Highway 106 and then headed upslope. The trail was in good shape, climbing the bluffs to ride below the ridge north above the east shore of the Current River. I saw a butterfly and tried to take a photo of it, but it dashed away and blundered into a spider web. I tried to free the poor thing, but it was too late: the spider had already claimed its victim and I only managed to capture the butterfly’s demise. A huge tree had fallen across a trail switchbacks and I posed to give it some scale before I attempted the Limbo. The forecast had been in error, claiming it would still be in the 40s in the afternoon. I’d worn a sweatshirt in anticipation and it was living up to its name since the temperatures had climbed into the mid 50s. So I stripped it off and continued onward in my undershirt. After about 1.8 miles of hiking I reached a campsite and the promised grand overlook of Owls Bend on the Current. I posed in my undershirt and sat down to enjoy a turkey sandwich I’d picked up in Winona on my way over. Then I walked along the bluff to view my lunch spot from the upstream bluff, where a tiny lizard peeked out at me. I backtracked through the creek beds and tall trees towards Highway 106 and my car, having only travelled 3.63 miles. There wasn’t enough day light left to take the second trail over to Blue Spring, so I decided to do that the following day and drove west to the photogenic Alley Spring Mill for the golden hour of shooting right before sunset. The iconic red mill was built in 1894 and eventually closed because its turbine and steel rollers were designed to grind wheat to flour in an area where corn was the main crop. It is a beautiful setting, with a powerful stream fed by the 81 million-gallon-per-day spring. 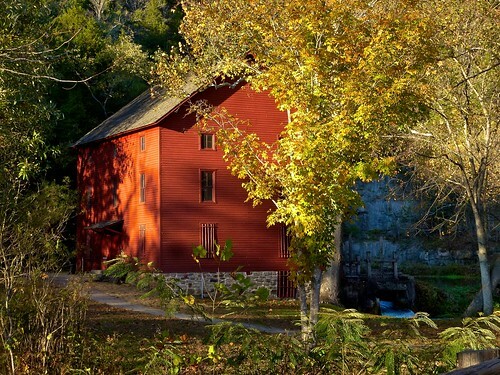 A large tree complements the red mill and its beautiful sluice and pool. The downstream view from the sluice gate was gorgeous as well. Behind the mill the big spring pool generated lovely reflections of the trees and mill. A trail led past pretty falls and alongside bluffs which had nifty little eroded areas. I assembled a video of the flows. I drove away in the fading light, briefly stopping at a highway overlook before returning to Willow Springs for some yummy pizza and a late night of blogging. Tomorrow I will head back to the same areas to see Alley Spring in the morning light and hike at Powder Mill campground, heading south instead of north this time to visit Blue Spring.